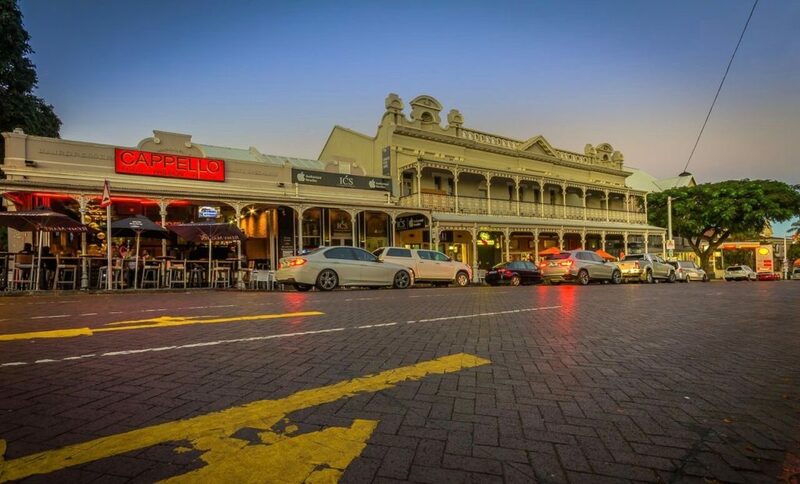 But whatever you think, you just can’t help but be charmed by Katie’s palpable enthusiasm for Florida Road and it’s architectural heritage, and Durban, which has been her family home for just over two years now. 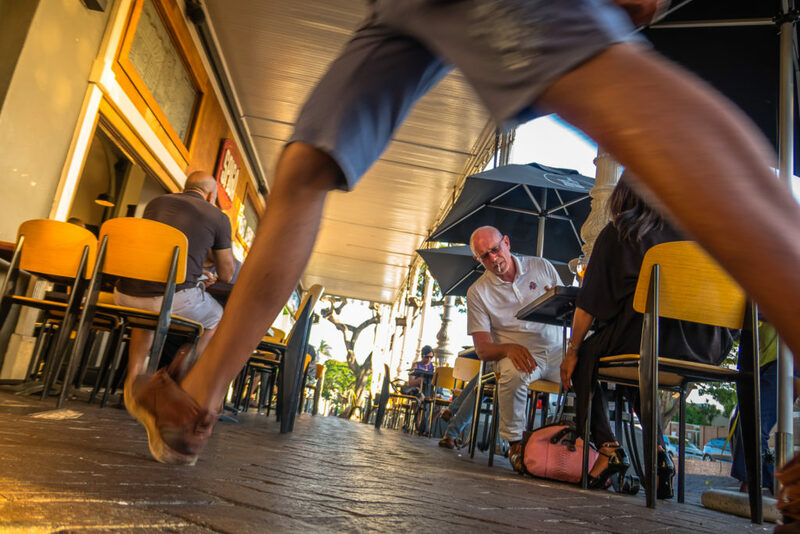 British by nationality she and her husband – a South African citizen who was raised in Britain – moved here from London because they identified Durban’s amazing potential. Apparently they own properties around the world and have been behind regeneration developments in London and Cape Town. But, that’s not what this story is about. It’s about what they have planned for Florida Road. All the properties mentioned below are part of Urban Lime’s property portfolio. Sugarlicious, (also in Umhlanga) is another new tenant. 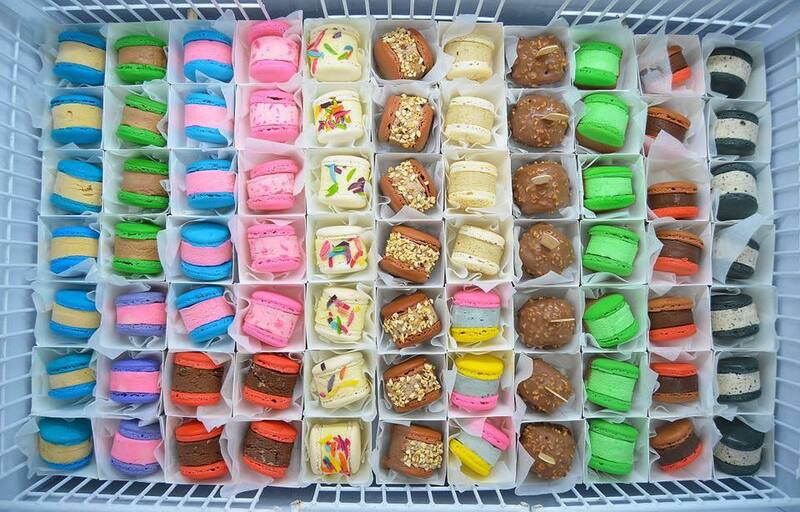 At 223 Florida Road they boast of serving South Africa’s first ice-cream macaron sandwiches in a wide range of flavours. Their macarons are exquisite looking – almost too beautiful to eat. I’m not sure they are quite my thing, though, far too sweet and I think the macarons suffered from being kept frozen (remember the ice-cream). But, clearly others feel differently as there were enough people enjoying them when I was there. 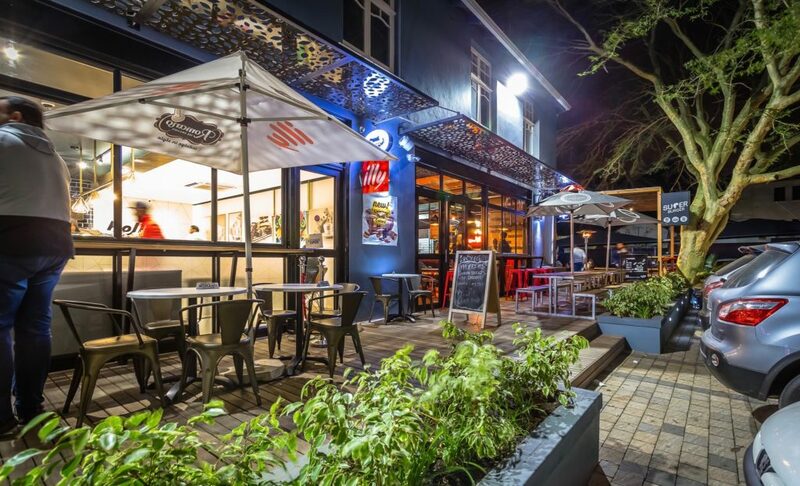 Florida Exchange at 223 Florida Road, an Urban Lime initiative, has welcomed a new tentant to the existing line up. This time it’s the CraftsMen (formerly of Helen Joseph Road). Luke Reddy and a partner are behind this operation and they are serving pulled pork, lamb and brisket (slow-cooked in a smoker) served in rolls or Chinese steamed bao buns. I sampled a “bao to your sensei”, which is steamed Chinese bao buns filled with smoked pork belly, a light slaw and a chilli soy bean paste with dressed pak choi, R65. Sublime. Good to see an owner-run eatery finding favour so quickly as their stock was sold out three times in the first week. CraftsMen will soon have a bar up and running. The next building we visited is behind Taco Zulu and overlooks the Florida Exchange. The plans are to accommodate both a shisanyama and a Turkish restaurant at the rear. Love Turkish food, so that’s a plus. There is a slightly delapidated house on the corner of Florida and Currie Road, 257 Florida Road. It’s currently undergoing renovation and Lupa is the intended tenant on the ground floor. An outbuilding on the same property is destined to become a small artisanal bakery and should be open by the end of this year. Passing FNB and Spar we come to Hacienda, at 218 Florida Road. At the moment Love Coffee occupies a small space on the ground floor along with Barber Box, a tiny but busy barber shop. It will be joined by a salad bar and a surf shop in the near future. The pavement along this little side street has been lifted and replaced with small cobble-like stones (all paid for by Urban Lime). That, and long, steel eating tables, offer a stylish touch. If you enter the Hacienda, you’ll see a large atrium area. Plans are for another restaurant to be sited there. This time it will be about fine dining. The next building is Florida Fields. Plans are to introduce small businesses, which will be food and retail related. Then comes three beautiful Edwardian villas dating back to 1903. The first is Atherton, 295 Florida Road, which is the new home of latest branch of Jack Salmon Fish House. All branches are owner operated, each with a working partner. This is a beautiful and rare example of intact Edwardian architecture and it has lovingly been returned to its former glory by Urban Lime, who also own the third Edwardian villa in the line up. The middle villa is owned by attorneys, but Urban Lime is collaborating with the owners to combine the gardens of the three properties to return them to an oasis of green with trees, plants and shrubs. A textile company, Home Fabrics, is the tenant on the ground floor of the third villa. The upper floor will offer individual offices for SMEs with shared meeting spaces. We walked further up towards Mitchell Park and arrived at what was once the Artisan Gallery, which I loved. At the moment restaurateurs are being invited to apply for the space. Then we all walked back down towards Gordon Road where Skyline Coffee have opened up a hugely popular café. As I understand it, Spiga, reincarnated as Pizza d’ora, will open two doors down from Skyline. This property is not owned by Urban Lime. But they do own the former Spiga premises, including the back section where Mozambik is located. A Mexican restaurant might just be taking up the space vacated by Spiga. Called Salsa Mexican Grill (also in Umhlanga), it claims to serve genuine Mexican food, but not “typical” Mexican food. I’m not sure what that means, but according to their web site … “ what makes the salsa experience truly special is the inspired, healthy, modern twist that we give each of our signature dishes.” So, healthy Mexican food! NEW OR COMING TO FLORIDA ROAD. The below eating/drinking venues are not part of Urban Lime, but are worth a mention. Like the Gin Gallery Pop-up Bar at 94 Florida road where cocktails and light meals are served. When driving past Mamma Luciana’s at 49 Florida Road this past weekend, I discovered a new restaurant called Kebabish, which describes itself as a family restaurant serving Pakistani and Middle Eastern food. Almost alongside it is a brand new building emblazoned with the word Dukkah. I believe it’s a restaurant, but don’t know more. But watch this space. Finally, KFC is opening up a drive-thru restaurant in Florida Road. Eish. 1 Considering that the emphasis in Florida road is on regeneration and maintaining the quaint architecture, how is it possible that a company can flatten four old buildings to erect a block of flats all in steel and glass? 2 With all these new planned restaurants, where will visitors park? Already Florida road is under great strain. 3 Will the Florida Road of the future become affordable to only chains and franchises? Ice-cream macaron sandwiches. Picture courtesy of Sugarlicious, a new tenant on Florida Road.